1; Hormel has recalled 228,614 pounds of cans of pork and chicken products sold in the US and Guam after finding consumer metal items. The recalled spam and "Hormel Foods Black-Label Luncheon Loaf" were made between February 8th and February 10th and include "EST.199N" on the bottom of the can, according to the Food Safety and Inspection Service of the US Department of Agriculture. The recall concerns 12-oz. 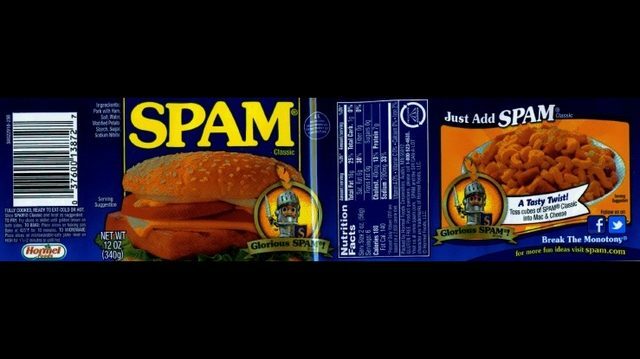 Doses of "Spam Classic" shipped throughout the United States, dated February 2021 with date and production codes: F020881, F020882, F020883, F020884, F020885, F020886, F020887, F020888 and F020889; and 12 oz. Doses of "Hormel Foods Black Label Luncheon Loaf" were shipped to Guam with a sell-by date in February 2021 and production codes F02098 and F02108. There were reports of minor oral injuries among consumers who ate the spoiled product. The inspection service received no further reports of injuries. The products should be thrown away or returned to the place of purchase. Hormel's Consumer Response can be contacted at 800-523-4635.